The countdown to Kesari began today with glimpses from the film, shared by superstar Akshay Kumar. Kesari is Akshay Kumar's forthcoming film with Parineeti Chopra. 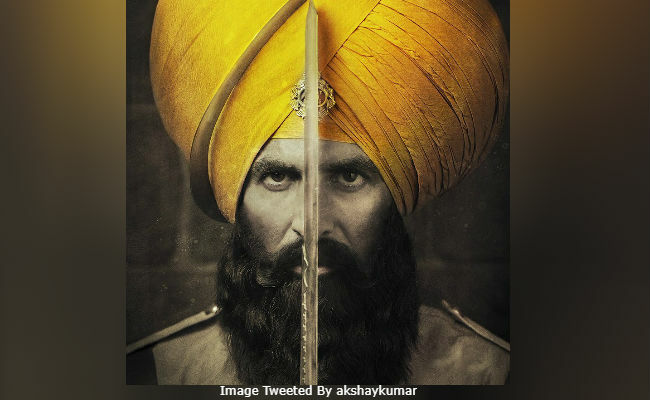 In an attempt to generate the interest of the audience, the makers of the film have come out with this concept of sharing glimpses from Kesari ahead of the trailer release, which hits the Internet on February 21. The first glimpse of Kesari opens on an army of soldiers running around and they gather around a fort. We also see a man's hand holding a chakram (circular weapon), which appears to be that of Akshay Kumar, who is ready to fight against them. "It's an unbelievable true story. Presenting the first one from the glimpses of Kesari," Akshay wrote while sharing the video. Later, he shared the second glimpse of the film. Take a look.